Couples who are married, engaged or coupled are challenged as they attend a date where they can laugh, sit together (without kids), learn about things they can do better to improve their relationship, and have healthy discussions about certain topics in their relationship. 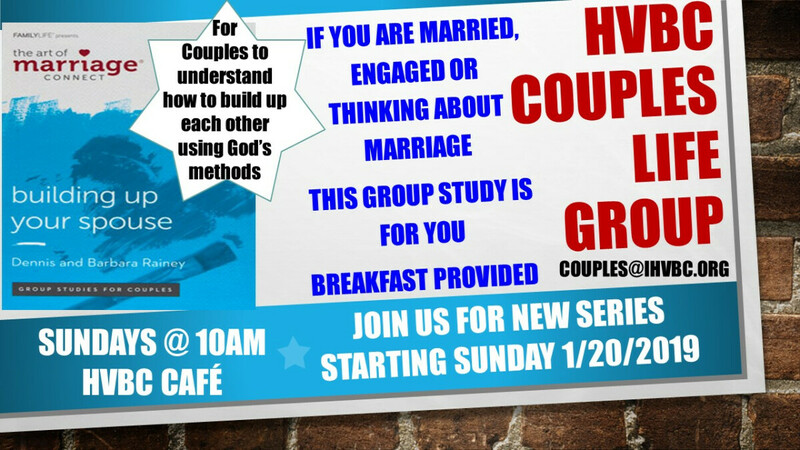 We meet on Sundays at 10:00 a.m. in the multi-purpose class. Please be cautioned that there are Couples discussions on topics impacting Couples in this class, so Parental Guidance (PG17) is advised.